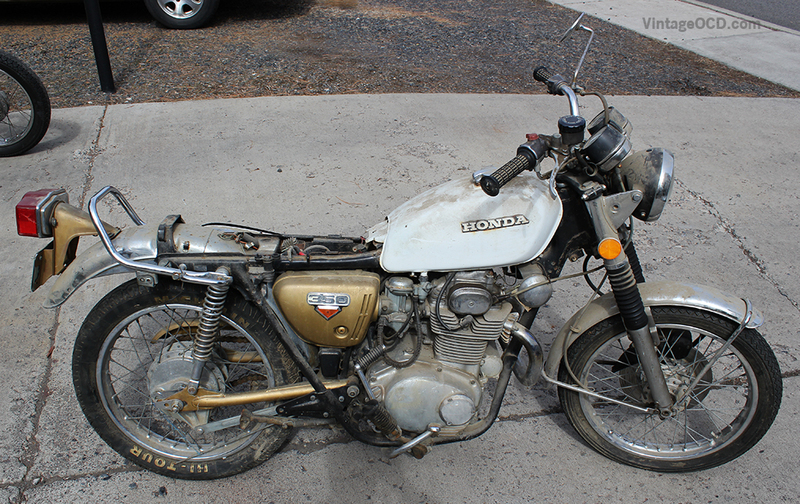 I recently picked up a 1972 Honda CL350 off Craigslist to use as a parts bike for my cafe racer rebuild. I had been ordering replacement parts piecemeal off of the interweb and I was averaging $50 a part. For $150 in a snowstorm I was able to pick up the CL350 and everything is there and in decent shape. It is almost a shame to dismantle the old girl but I really need the parts. 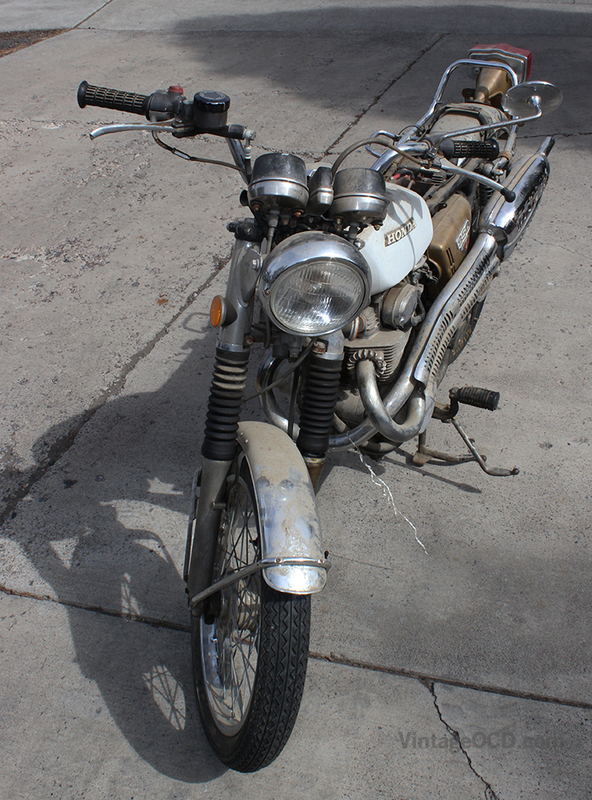 Here she is yesterday in all her dusty glory before the part-robbing begins. 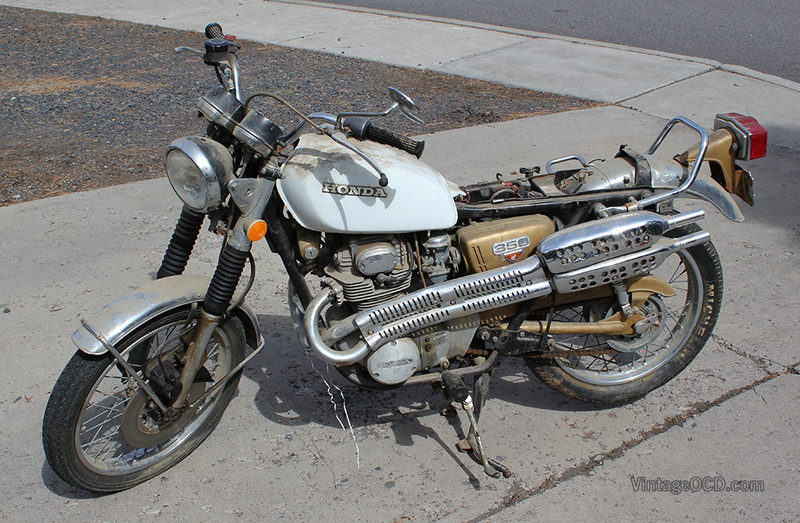 This entry was posted on Monday, March 25th, 2013 at 2:06 pm	and tagged with 1971 Honda CB350, 1971 Honda CB350 Cafe Racer, 1972 Honda CL350, Honda CB350, Honda CL350 and posted in Honda CB350 Cafe Racer Project, Motorcycles, Scooters & Automobiles. You can follow any responses to this entry through the RSS 2.0 feed. Yes, the exhausts have the same span and will fit either bike as both bikes have the same engine. 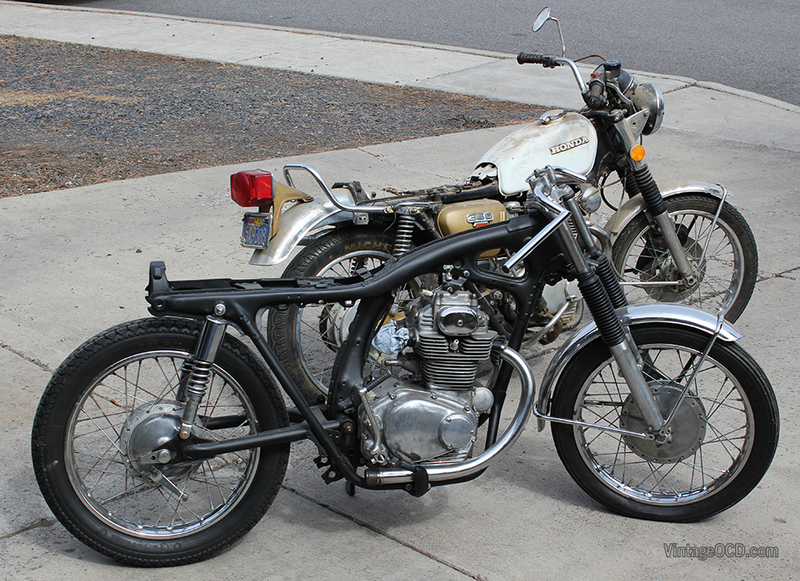 Seeing the frame of the CB350 and looking at the original inspiration bike with the red tank from the older posts, how would you go about getting the tail end to look like that? Where does one cut the frame (or is it necessary to cut at all)?